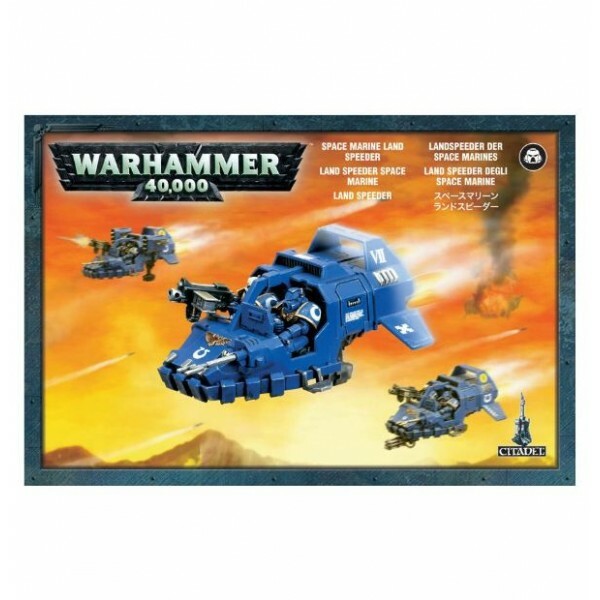 This box set contains one multi-part plastic Space Marine Land Speeder. This 60-piece kit allows you to assemble any of the three Land Speeder variants, including the Tornado and Typhoon pattern Land Speeders. This set contains all of the weapon options allowed by Codex: Space Marines including: an assault cannon, a heavy flamer, a Typhoon missile launcher, a multi-melta and a heavy bolter. Also included are Chapter symbols for the Blood Angels, the Dark Angels, the Ultramarines and the Space Wolves.